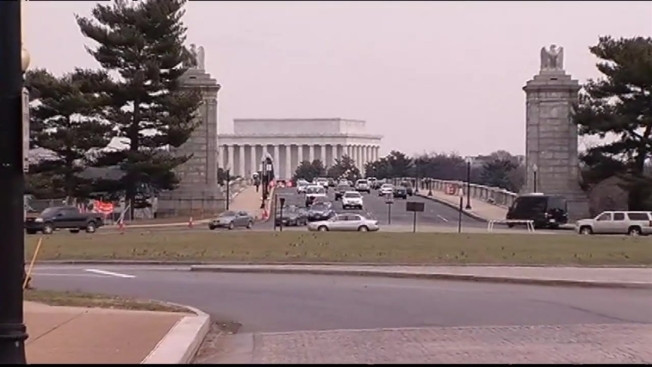 The Arlington Memorial Bridge could close to vehicle traffic within the next five years if funds aren't allocated to cover $250 million in repairs to the crumbling infrastructure. 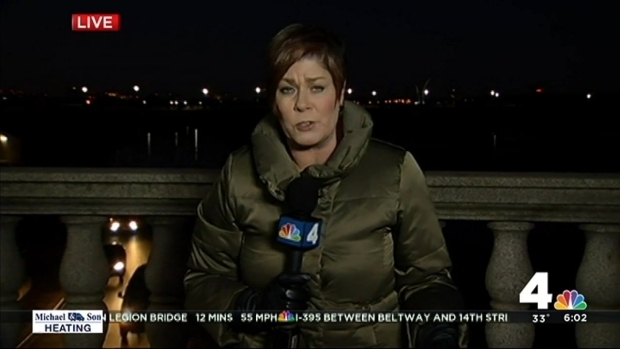 The National Park Service (NPS) is preparing to patch up the Arlington Memorial Bridge one last time, but even that fix will only extend the life of Washington's most iconic river crossing by another five years. The steel supports of the 84-year-old bridge are rusting through, and its concrete decking has been reduced to gravel. The bridge needs to be completely reconstructed at a cost of $250 million or it will be closed by 2021, park service officials say, and the park service doesn't have the money to do it. "Memorial Bridge was built to symbolize the coming together and reunification of a fractured nation following the Civil War," Rep. Don Beyer, D-Va., whose district includes the Virginia side of the bridge, said in a statement. "Today, unfortunately, it also symbolizes the neglect of our nation's transportation system." The National Park Service is preparing to patch up the Arlington Memorial Bridge one last time, but even that fix will only extend the life of Washington's most iconic river crossing by another five years. "The deck that people drive on, that's just crumbling," she said. "When we pull out a core of the deck, it should be 11 inches of concrete, and that's just turning to gravel." The bridge is far from the only park service property in need of repair: The NPS has put off $11.9 billion in maintenance, and about half of those costs are related to transportation infrastructure. But if the bridge were to close, its absence would be acutely felt by Washington-area residents and commuters as well as tourists. "The bridge is a really good example of what happens when you defer maintenance," NPS director Jonathan Jarvis told The Associated Press. "If the park service had had the funding over the lifespan this past 80 years, we probably could have extended the life of the bridge. Because we just didn't have the funding, you wind up with it in this condition." Steel beams that carry the weight of thousands of commuter cars each day are now eroded through in some places on the Arlington Memorial Bridge. News4 Transportation Reporter Adam Tuss got a rare look inside the bridge and reports on what's being done to fix the problem. "The extended closure of this major commuter artery will be devastating to the economy and quality of life in the capital region," Sen. Mark Warner, D-Va. said in a statement. "We will work together as a delegation to identify the necessary resources so the National Park Service can keep Memorial Bridge open." The NPS plans to apply for federal grant money through the transportation bill that Congress approved late last year. If it wins the grant and gets contributions from the District of Columbia and Virginia, that would be enough to pay for the reconstruction, Jarvis said. Otherwise, Congress would have to make a special appropriation to keep the bridge from closing. "I can think of no better way for Congress to celebrate the Park's 100th birthday than to redouble its efforts to invest in our Park system," Rep. Gerry Connolly, D-Va., said in a statement. "This is a federally-owned bridge, and thus a federal responsibility that Congress must address." Without the temporary fix, which is scheduled to begin next year and cost $5 million, the bridge would close by 2019.